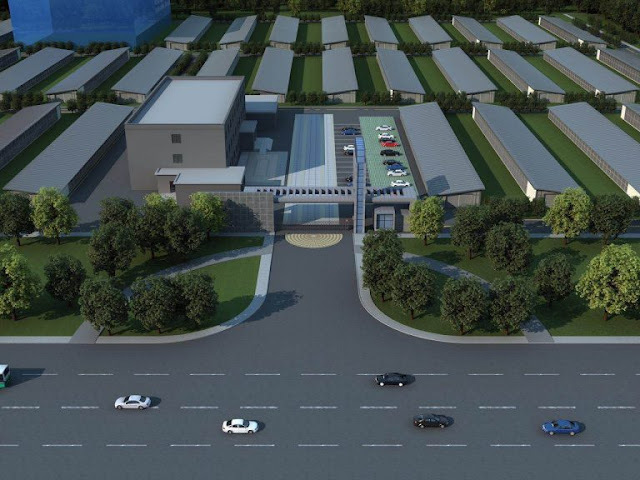 A Bitmain proposed bitcoin mining data center in China’s North Western province of Xinjiang. Chinese crypto mining hardware startup Bitmain has been in the news as of recent concerning several notable moves, A $1 Billion investment from Tencent, A reported $18 Billion IPO plan and now another report made by TechCrunch citing a company fundraise overview of Bitmain on target for a whooping $10 Billion in revenue this year. Bitmain minted $2 Billion in the first quarter of this year alone with $1.1 Billion of the figure reported to be profits with a net margin of around 50% for the just 5 year old firm. As per the cited fundraise prospectus, Bitmain is on track to become the first blockchain company ever to cross $10 Billion in annual revenue assuming no further drops in the cryptocurrency market which would cement its status as the global leader in the blockchain market. According to documents also spotted by CoinDesk, Bitmain is said to be filing for an IPO which could raise as high as $18 Billion this September at a market capitalization between $40 Billion - $50 Billion which may happen in the 4th quarter of this year or the first of next year which would counts as one of the world's largest IPOs if it pans out as reported. The Beijing based Blockchain company which manufactures crypto mining hardware and offers bitcoin mining pools in addition to other services is also reported to have roped in Chinese internet giant and other notable investors for a $1 Billion pre-IPO investment round into the company which has previously raised $450 million in funding from the likes of Sequioa, IDG Capital and GIC. Bitmain's growth has been extra-ordinary with $2.5 Billion in revenue last year, An over 8 times jump from the $300 million made in the preceding year indicating the company as one of the fastest growing in technology's history with several plans to expand its reach which includes a plan to launch its own AI chips by the end of this year. Other competitors in the company's space have also filed for IPOs with Hong Kong based fellow blockchain hardware company Canaan Creative filing for an IPO in May aiming to raise between $1 Billion - $2 Billion. Canaan and Bitmain started in the same year which marks very rapid growth for both companies in a quite short time. With a $15 valuation as of current, We'll get to see how Bitmain plays long-term in the crypto market with strategic expansion of its operations and if we'll officially get to see the first blockchain company to ink over $10 Billion in annual revenues this year.